Recently Nissan has announced their pricing for all Frontier midsize pickup trucks. The pricing appears to be comparable to that of 2013 models. Cost begins with the base model King Cab 4×2, 5 speed manual transmission and four-cylinder engine at just under $18,000, not including an $860 destination charge. The price tops out at a fully loaded model, including 4×4, 5 speed automatic transmission, and a 4.0 liter V-6, priced at around $34,000. It appears the prices have increased over last years models, but the increase seems to only range from $100-$400 which should keep the Frontier competitive. 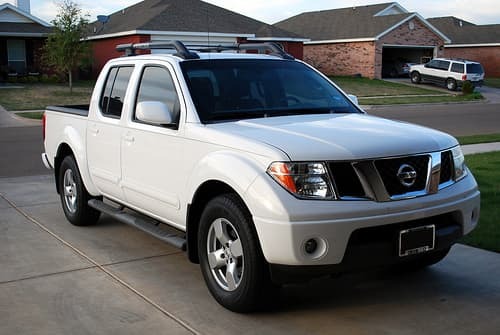 Even with the minor price increase, if you are looking to downsize from a full-size pickup, the 2014 Nissan Frontier is a great option. The Frontier offers a more compact size while balancing maneuverability with utility and comfort. It also manages to retain the traditional look of full-size truck with it’s simple surfaces and proportions. The interior of the 2014 has been updated to improve comfort. Interior upgrades include heated front seats, standard blue-tooth phone and audio as well. It also boasts improved navigation designs like the smartphone integration and voice recognition, as well as the NissanConnect Apps functionality. The NissanConnect allows your smartphone to work with the Nissan’s display screen to use apps to play music, use social networking, and navigate. There are two options for cabs available, the King Cab and the Crew Cab. For those who regularly carry more than 2 passengers the Crew Cab offers four doors and decent backseat space. The frontier comes with some factory features that make it ready for tough jobs. Among these features are a sprayed-bedliner, available Utili-Track cargo tie-down system, and a Value Truck Package. The Value package also bundles a trailer hitch and a bed extender. For those more interested in performance than comfort, the 2014 Frontier has a choice of engines. From the 152-horsepower, 2.5 liter four-cylinder to the 261-horsepower, 281-pound-foot 4.0 liter V-6. The V-6 is a great option that offers almost as much power and performance as smaller V-8s. Some improvements have been made to the engine’s components that have increased gas mileage by reducing friction. The new Frontier also offers both the 4×2 and 4×4 drivelines as well. Although, the 4×4 driveline is only available with the v-6 option. The four-cylinder model offers a transmission choice between a five-speed manual or automatic. However, the V-6 model has a six-speed manual or a five-speed automatic. ← Which Pickup Would Santa Drive?